The Government of India signed a Rs. 58,000 crore deal with Dassault Aviation to purchase 36 Rafale jets in 2016. 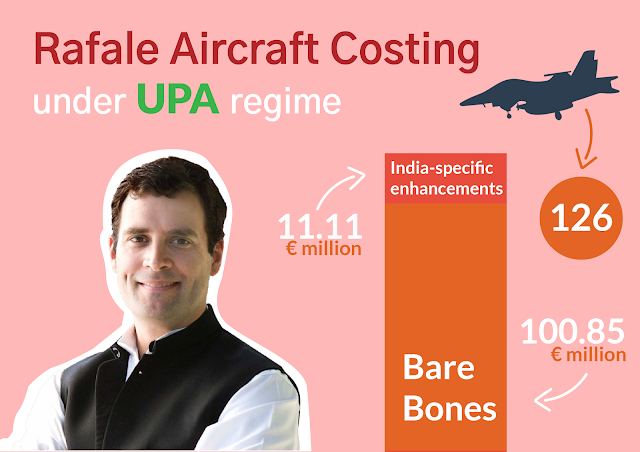 A hotly debated topic these days, with the opposition claiming that the jets were purchased at 3 times the price negotiated by the UPA government earlier. But why would a government do so? Do you think it would have got the defense ministry's approval and the Supreme Court's go ahead if it had purchased it at such a high cost? Confused?! Read on ahead to get to the bottom of it! The UPA government, as per the requirement of the Indian Air Force had released a tender in 2007 to purchase 126 fighter jets and those offered by Dassault were the lowest in cost. As per the original deal, 18 of 126 aircraft were to be flown ready-made by Dassault and rest 118 of them were to be assembled in India by HAL( Hindustan Aeronautics Limited). Further complications, such as Dassault not offering a bank guarantee to deliver the jets on time and not ensuring the quality and standard checks for the aircraft made in India by HAL, led the deal to collapse. There have been speculations that HAL, even though manufacturing aircraft for years, didn't possess the requisite capability to manufacture the Dassault planes in India. What did the NDA Government Do? Now, India needed the jets, either they could purchase from Dassault or from any other company. Also, there were requirements of installing India Specific Equipment(ISE) in these aircraft by the Indian Air Force. ISE consisted of 13 specifications which would make the Indian Air Force's jets stand out from the rest of the world. The ISE cost is a non-recurring cost, that is, it is not dependent upon the number of aircraft purchased. Earlier, the ISE Cost of 1.4 Billion Euros(in 2011) was spread over 126 aircraft, now down to 1.3 Billion Euros(in 2016) spread over only 36 aircraft increasing the per unit cost of the aircraft from Rs. 527 crores to nearly Rs.1600 crores. But, the CAG states that the overall cost of the deal comes down by 2.86% due to lower overall ISE costs and is better in terms of pricing and delivery conditions in the Inter-Government Agreement between India and France. Rafale Aircraft Costing under NDA regime. Has our National Security been compromised? The Opposition's persistence to reveal the contents of the deal had forced the government to reveal the price and the ISE additions. The French government, as well as Dassault Aviation, had maintained its stand that no sensitive content must be released as it is a matter of national safety for both the countries. How does this deal benefit the Indian Economy? All the 36 jets are now manufactured by Dassault and would be in flyaway condition, instead of 18 earlier in flyaway and 118 manufactured in India(2011 deal). Of those which were to be manufactured, there was no quality assurance from Dassault's end. But now, as per the latest 2016 MOU signed between India and France, 50% of the cost of the deal(Rs.58,000 crores) had to be invested in India in some form. 30% would be invested in research and technology development while 20% would be used as part of a joint venture between Reliance Aviation (the Company selected instead of HAL due to it's lower manufacturing cost) and Dassault Aviation, although political connections make this another debatable topic. This is likely to make our defence mechanisms more technologically advanced and we would further have the means to make these aircraft in our own country instead of purchasing them. Further investment in research is going to drive jobs and boost our GDP, making India's position stronger on the global front. With the US, Russia, China having the best of aircraft and equipment with them, India is not lagging far behind and is likely to catch up with them in the coming years. The Indian Government doesn't have any bank guarantee in case the recent fragile financial conditions of the Rafale leads to its default in the delivery or delay in it. There is no sovereign guarantee from the French Government. The only thing that is provided is a letter of comfort on behalf of the French government, which is hardly a comfort in such a big deal. In case there is a default from Rafale's end, then the same has to be challenged in the arbitration court by the Indian government. Hence, they don't have any leverage over Rafale and could have negotiated better. 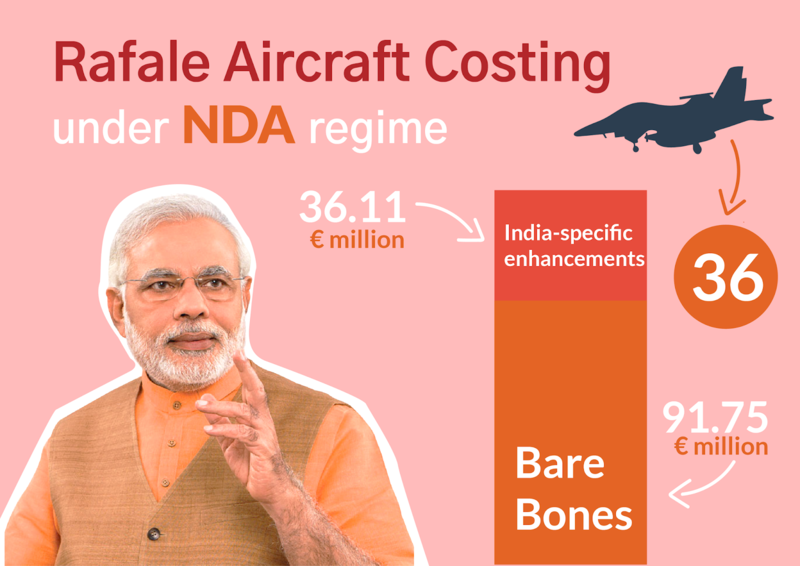 On the face of it, one may think that the per unit cost of aircraft comes out to be quite high when compared with the earlier deal, but the extra 18 jets in flyaway condition, the future investments in India's defence sector, quicker delivery makes the deal beneficial for the years to come. 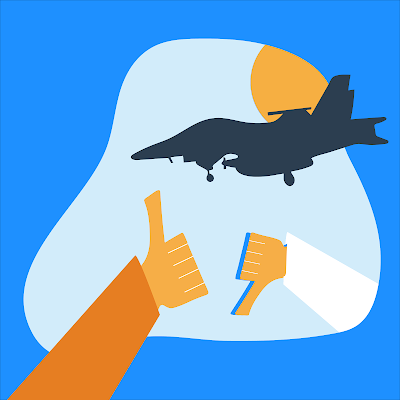 The Supreme court and the CAG have examined the deal and have found no wrongdoing in the same, although they are concerned about the future requirement of aircraft as 90 fewer aircraft have been purchased as of now. As citizens of our country and particularly students of business and economics must be aware of the situation in the country at hand and not be swayed by the arguments of either side. Our facts must be crystal clear in order to ensure that the right people guide this country ahead in the desired manner. Quite informative and portrays an unbiased view of the complete situation at hand. Very well researched with quantified and material facts.